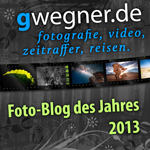 This post was last modified: 2018-12-06, 17:41 by gwegner. First thing: LRTimelapses "Visual Previews" are not color managed due to performance reasons. Please don't use those for color comparisions. 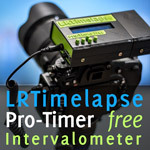 LRTimelapses Visual Previews are only a reference for deflickering, not for color. Please only compare the display in Lightroom (color managed) and the final video in a color managed player or editor. See next points. If you are on a Mac: don't use Quicktime for playback. Quicktime is not color managed and will most likely display wrong color. Instead use the VLC player, which is much better. On Windows: Even if Windows Mediaplayer performs much better then Quicktime, I'd recommend to use the MPC Player on Windows. On both systems: using a proper and up to date video editing program like Adobe Premiere / Premiere Elements etc. should deliver the correct colors too. If you export and render with LRTimelapse 4.7.3 and younger, LRTimelapse will by default use a wide-gamut workflow. Exporting will happen in AdobeRGB and the video Codec will use wide gamut too. Older OS versions or some players might not be able to show correct colors for wide gamut material. If you followed my advices above and still are unhappy with the color redition, please try exporting again with the "sRGB" option selected in LRTExport (Advanced Settings). On LRTimelapse older than 5.1 "Motion Blur Plus" could affect the colors. This doesn't happen anymore since version 5.1. So please upgrade, if you haven't! LRTimelapse by default uses a wide gamut workflow. As a last instance, if you cannot get the colors to your liking on your system, you could try to export in standard gamut (sRGB) - there is a setting in the LRTExport Lightroom Plugin, set it to sRGB and try again. One last thing: Photos and Videos live in different color spaces. There will always be a conversion, no matter which software you use. So you cannot expect 100% accuracy. But if you follow my advices, you will come really, really close and get great results. PS: Make sure to have a wide gamut monitor that is color calibrated too in order to be able to judge the colors properly. I hope it is okay to ask a question here. If I understand this correctly, when we export the final JPGs from LR, the colour space is using AdobeRGB if the sRGB box is not checked. We should only export using sRGB if the video output colours (rendered in LRT4) are not the same as the images in Lightroom or not to our liking? What happens if you have Lightroom set to use ProPhotoRGB? I use ProPhotoRGB for editing in Lightroom and Photoshop. Should I switch to AdobeRGB when editing images for Timelapses so that the colours will match as close as possible? I always export images from LR and PS as sRGB when I print or post images online. 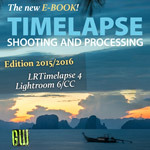 Is it different for LRTimelapse? If you use the LRTExport plugin to export you can only choose between sRGB and AdobeRGB. Only those are supported by LRTimelapse. I am having this issue with LRTimelapse 5. When I am done with editing stage in Lightroom I export pictures as JPGs. Then I need to start render in LRTimelapse manually as it doesnt start automatically from some reason. I make sure I have correct source folder selected (with my edited pictures), but it renders video which seems like it is made of my raw pictures. I have tried it couple of times but it always renders realy grey video which looks like my raw pictures.